Love Diane Wakoski... 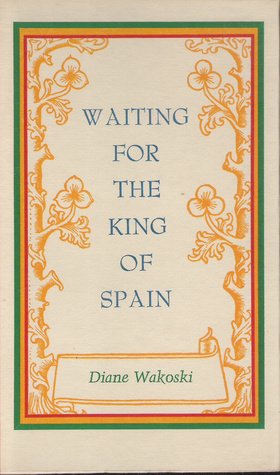 In general these Black Swallow press titles are collector's items all... but the Diane Wakoski in particular! The most beautiful, plain-language, real life stuff, a beat-inheritor. Gypsies on motorcycles, the King of Spain. A good place to enter into her personal pantheon. Wakoski is by far my favorite poet. This isn't my favorite collection by her, but it was pretty good.